When you write a job description, you are not just writing it for the candidate, you are also writing it for Google, Bing, Indeed and any other search engine out there who can send traffic to your job pages. Writing for the search engines is a key part of SEO Recruitment (search engine optimization (SEO). Writing a good job description for SEO starts with the title and you should practice Plain English and not be clever. Using “Sales Rep” (searched on 10’s of thousands of times per month) as your job description title is going to yield more search results than using “Sales Ninja” (hardly searched on at all). And definitely don’t use any weird jargon that is “internal speak” at your organization (I once saw an employer use the acronym of a call center they had (CCC (which stood for Core Call Center) in a the job title. Almost no candidate will know what that means, let alone search Google or Bing for it. The next step in writing the title of your JD is to be as specific as you can about ‘what” the candidate will be doing while keeping it relatively short in length (about 20 characters (see Tip #3)). Inside Sales Rep” is better than just plain “Sales Rep”; if the job is a focused on Machine Learning software development, then use “Machine Learning Developer” instead of just “Software Developer”. Google’s algorithm will reward your specificity with more Google SEO juice! SEO expert engineer Bhawna Singh of Glassdoor, has said that the highest click-throughs of job descriptions were for ones with a job title length of 12 to 20 characters. You can go a little beyond 20 if you’re adding some real specific value (“Pharmaceutical Sales Rep” (24 characters) is better than just “Sales Representative” (20 characters)). But if you go over the 60 character range then your click-through will drop in half (compared to the 10 to 20 range) according to Singh. Keyword density is an SEO term that represents how often words are used on a Web page. When writing a job req for a Customer Support position, for example, then you should mention “Customer Support” or a synonym for it (e.g. Client Success) as many times in your JD as you can without sounding like a robot. Google uses its X-Ray vision to count those words/terms to help it figure out what is the most important topic of content on your page. Keyword density also applies to requirements of the position you are hiring. For example, if you are hiring a software engineer and it is key that they be a master of the Python language, you need to mention “Python” multiple times. If you are writing a job description for a Full-Stack Engineer, then mention the ‘stack’ (e.g. LAMP) they will be using If you use certain methodologies (such as Agile Computing or Topgrading, Six-Sigma, mention those) — these are all rich keywords that candidates often search for. Do this and Google will more likely connect them with you if you have such skill-related keywords. When you finish writing your job description, try pasting it into this free keyword density analyzer SEO tool to easily see which words are most popular in your JD. It’s kinda fun to see what Google sees! The more Schema.org mentions on your job page, the higher Google will rank you. Part of writing a good job description is formatting the URL. Do not include the name of your ATS in your URL. If you do, the ATS company is getting the Google SEO credit for anyone visiting that page (not you). This might require you to have what’s called a hosted or masked URL. Use the following type of format when writing your job description URL: http://jobs. [company name]/software-rep/houston-Texas-USA because Google looks at the URL for keywords too! This final tip is not about writing the job description but is so important to anyone seeing your JDs, I had to include it! In SEO, it’s important to leave a breadcrumb trail of links to your JD so that Google and other search web sites can see that a legitimate employer (you!) is endorsing the job descriptions you are trying to fill. This will make Google index your pages sooner and display your JDs higher in search results. This one sounds obvious, but not every employer technically links to its job descriptions. 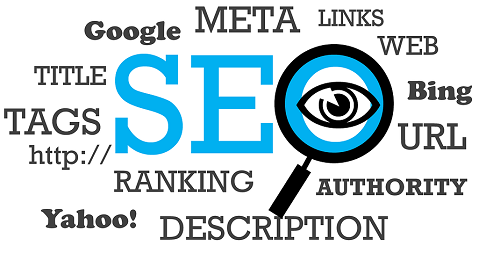 Many employers simply provide a search engine (often provided by the ATS) that leads to the jobs and that will count for little to nothing for your job description SEO. Instead, you should simply create a job family/microsite type page (I recommend you do it based on departments and locations) (e.g. http:/[your-company-name].com/careers/houston or http:/[your-company-name].com/careers/engineering) and then provide links to your job descriptions from that page. If you can practice these 10 SEO tips for writing job descriptions, you will be crystal-clear to Google and more likely reach your targeted candidate. And if you’d like Ongig to automate these SEO approaches for you, we’d be glad to help. Our Ongig Cloud System automates many of these SEO tactics and our professional copywriting team will write the actual text of any job descriptions you need help on.